These are our first pancakes in Greece. As always, pancakes are my daughter’s territory. I gave her a new recipe that uses butter. I found the recipe here but I’m posting corrected quantities. The milk was half what was needed to bring the dough to the right consistency. Here’s what we used for our pancakes today. How to make: Mix in all the ingredients. Use a whisk. When the batter is nice and smooth use 1/4 cup to scoop batter and pour in heated pan. Wait until you see bubbles. Turn over and when remove when the other side is lightly browned. Repeat until you run out of batter. 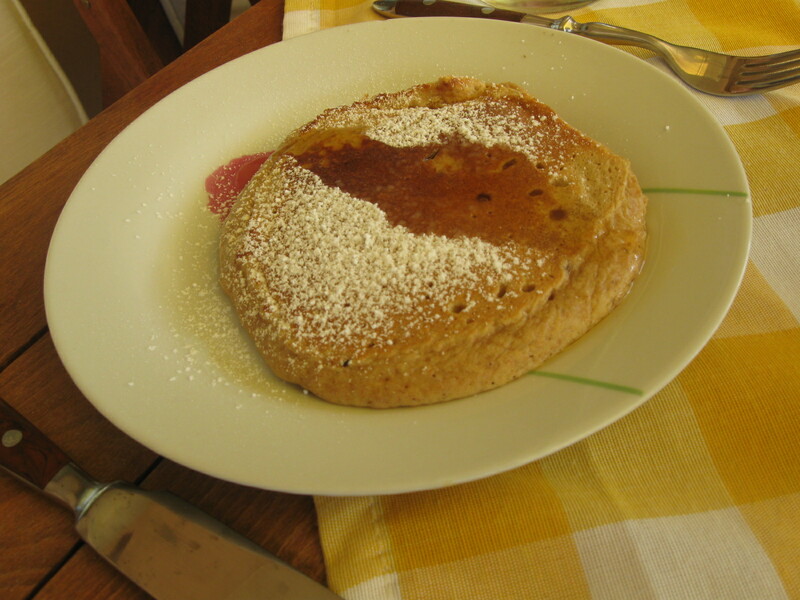 I served with confectioner’s sugar and maple syrup that I brought from the U.S.